With spring I finally arrived in Hamburg! I have a kitchen again for this month, which means I will do loads of home cooking to share with you. I will do my very best to feed you virtually. on the beautiful island of Kaua'i. - In a small frying pan add ghee, ginger, turmeric, sea salt, fennel, coriander and fenugreek and sauté until the aroma comes up. - Depending on your oven, you might have to raise the temperature slightly. Be careful not to dry out your veggies too much. 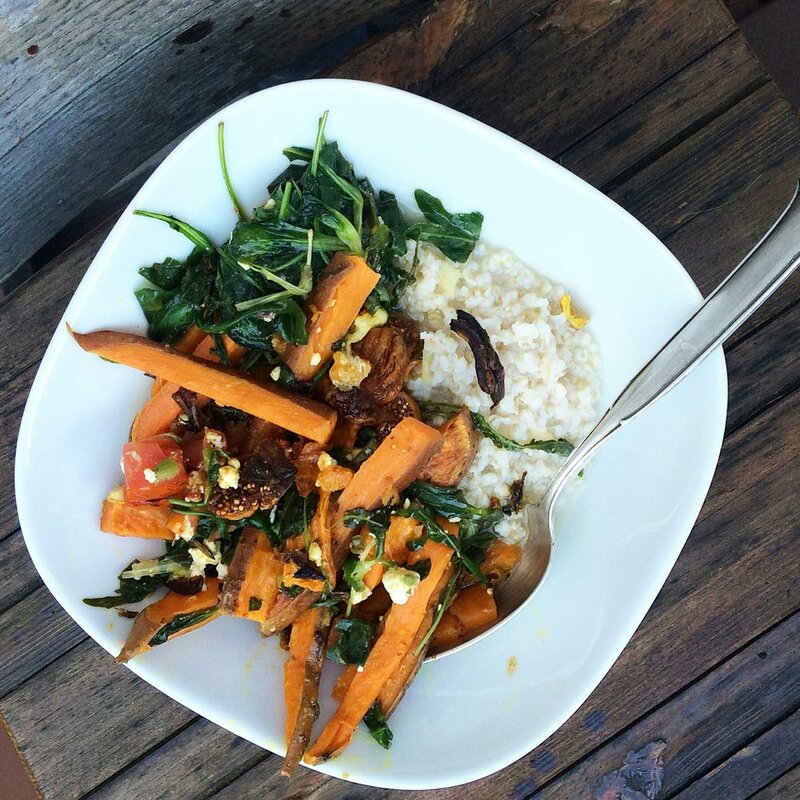 Sweet potato is delicious gooey also, and your stomach and body will thank you for the moisture! The leftovers can be used for lunch the day after. Simply warm them up in the morning and pop them into a food thermos right away!